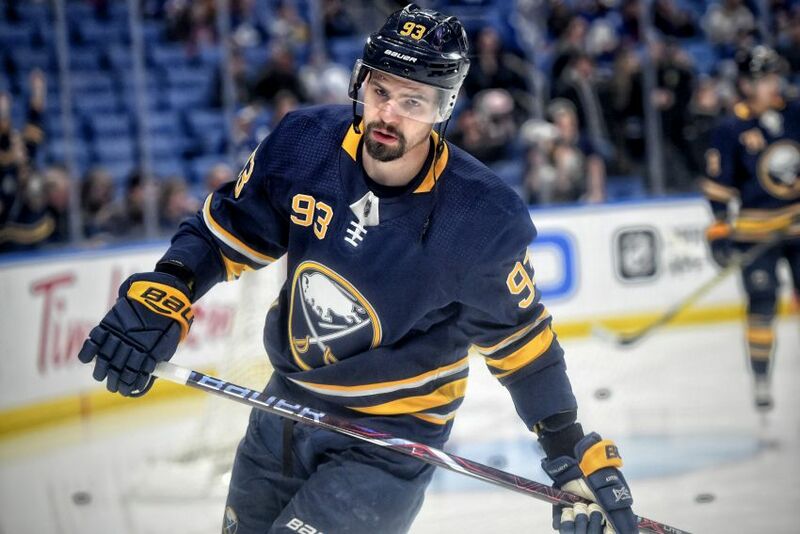 BUFFALO – The Sabres did not tender a qualifying offer to restricted free agent Victor Antipin by Monday’s deadline, making the Russian defenseman a free agent. Antipin, 25, signed a one-year contract last year following a strong season in the KHL. In 47 games as a rookie in 2017-18, Antipin compiled 10 assists. Botterill said Antipin is looking for other opportunities in North America. The Sabres also did not tender an offer to winger Scott Wilson, although Botterill said that’s related to arbitration. He said the Sabres want to re-sign Wilson when free agency opens Sunday. Wilson compiled six goals and 14 points in 48 games last season. Botterill also said Friday the Sabres wouldn’t tender a new contract to goalie Robin Lehner. The Sabres gave qualifying offers to six forwards Monday: Justin Bailey, Nick Baptiste, Sean Malone, Danny O’Regan, Sam Reinhart and C.J. Smith. The 2018 development camp roster the Sabres released Monday is filled with the team’s top prospects. Defenseman Rasmus Dahlin, the first overall pick Friday, and the Sabres’ other five 2018 draft picks are scheduled to attend. So are forwards Rasmus Asplund, Casey Mittelstadt, Alexander Nylander and Cliff Pu; defensemen Will Borgen, Casey Fitzgerald and Brendan Guhle; and goalie Ukko-Pekka Luukkonen. The Sabres also invited defenseman Griffin Luce, who’s going to be a junior at the University of Michigan. Luce’s grandfather, Don, is a Sabres Hall of Famer. Camp begins Wednesday at HarborCenter and runs through Saturday. Botterill said winger Matt Moulson, who was waived last season and sent to the Ontario Reign, the Los Angeles Kings’ AHL affiliate, won’t return next season. The Sabres, however, don’t plan to exercise a buyout on the final season of Moulson’s five-year, $25 million contract. Botterill said he communicated with Moulson on Sunday. “We’ll work with him just like we did to try to find the best opportunity,” he said. Botterill said he expects Lawrence Pilut, a defenseman the Sabres signed after a strong season in the Swedish Hockey League, to start his North American career with the Rochester Americans.